Antique Breakfast Tables had either Circular or rectangular top sitting on a pedestal base. 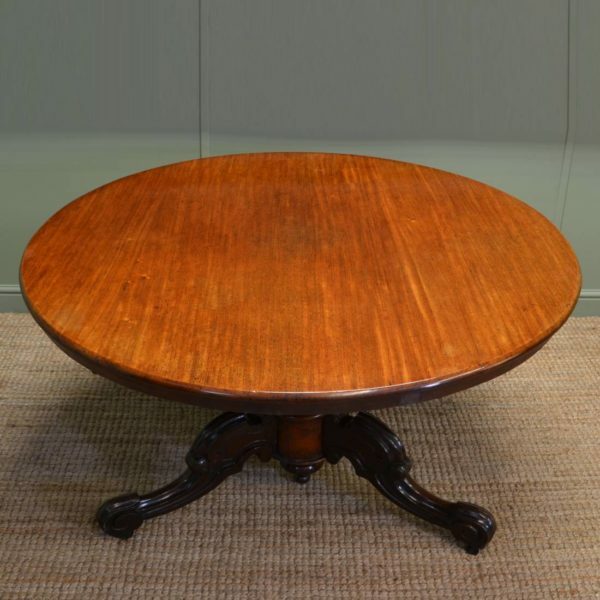 Fashion at the end of the 18th Century moved away from the long table towards the smaller circular table so you could have a more intimate family meal or dinner party in your breakfast room. 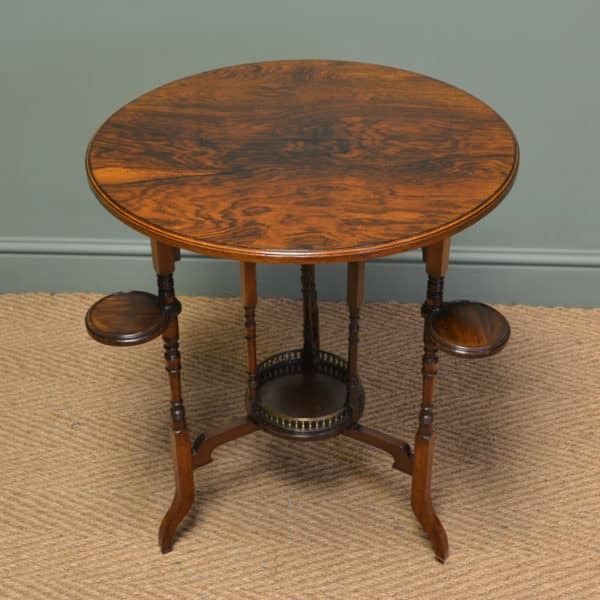 These would usually seat four to eight dinner guests and was very popular in the Regency and Victorian periods, made in finer timbers like Mahogany and Rosewood. 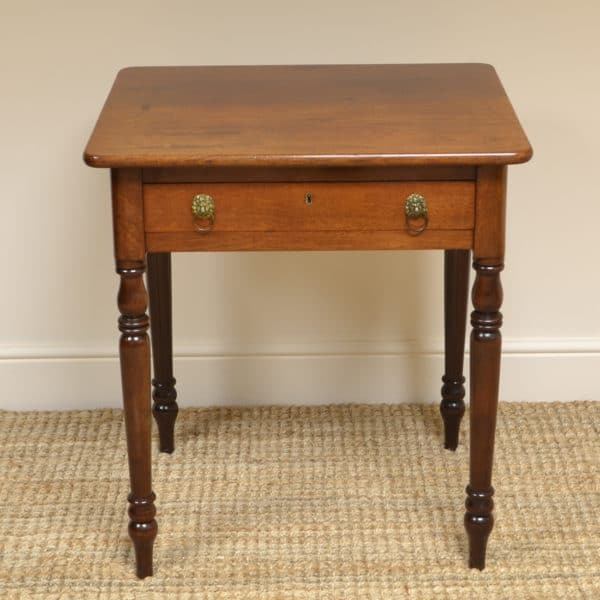 This type of antique table was easily stored as they could be tilted up using a brass mechanism (called a banjo catch) and fit into a corner of a room when not in use, so was very desirable for some of the smaller houses. 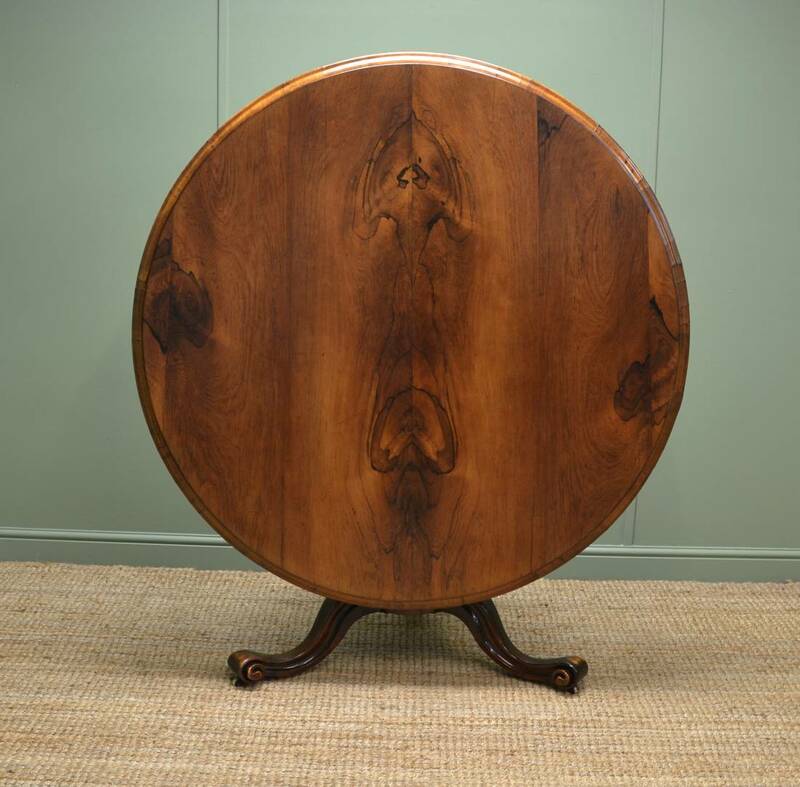 This same design was also used for the antique Loo table but was usually oval in shape and in more figured woods like Walnut. Have a look below at our lovely examples available for sale. 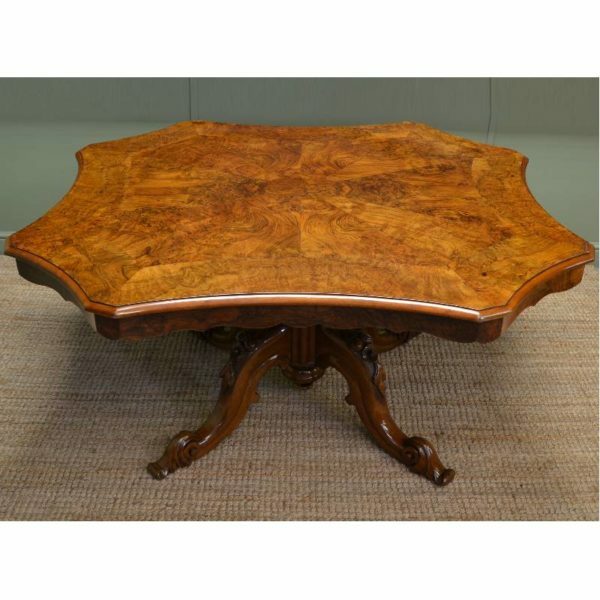 Fine Quality Regency Mahogany Dining Table with Rosewood Crossbanding. Below are a few examples of previously sold Breakfast tables, but if any particular style looks of interest please let us know as we do get many similar designs in stock and we can try to locate something similar. 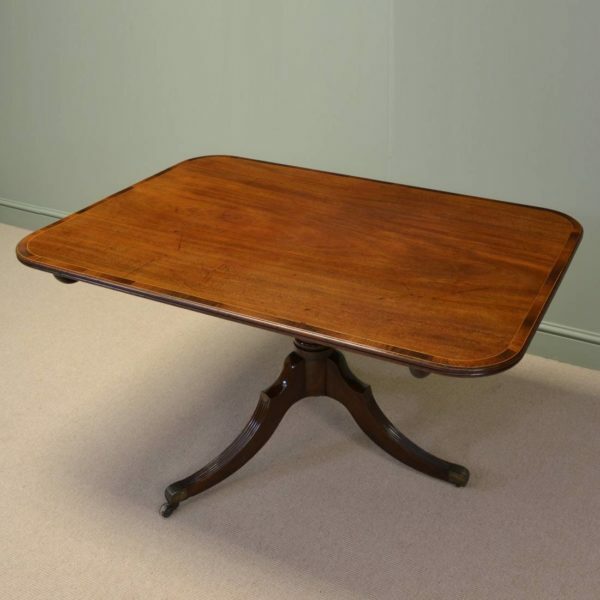 This delightful William IV antique dining table dates from around 1835 and is made from a beautifully figured rosewood. 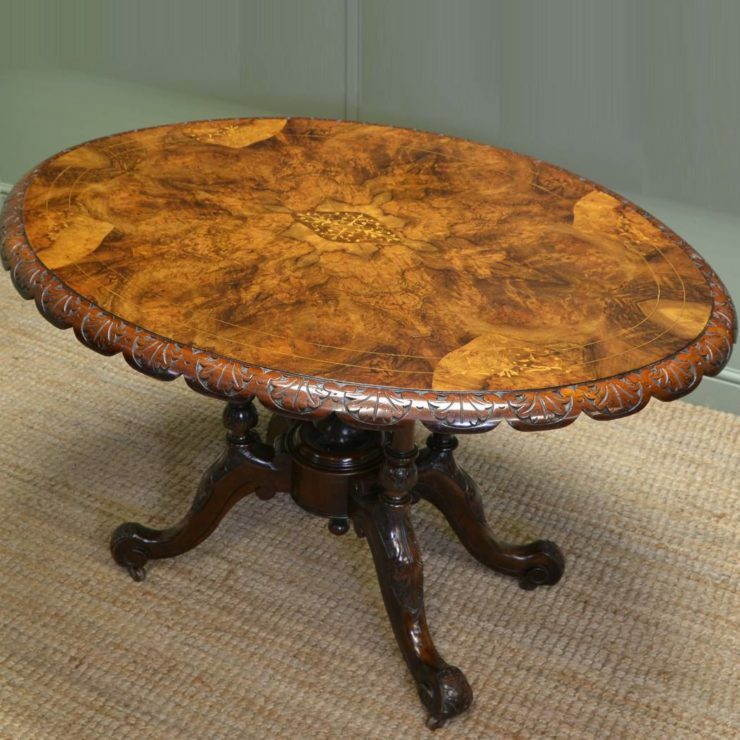 The base is made up of an unusual concave shaped pedestal with decorative beading and scrolled carved detailing. This rests on a tripod shaped foot with scrolled toes and brass castors. The beautifully figured mirrored top has a beaded edge to the apron and tilts on the original brass mechanism. 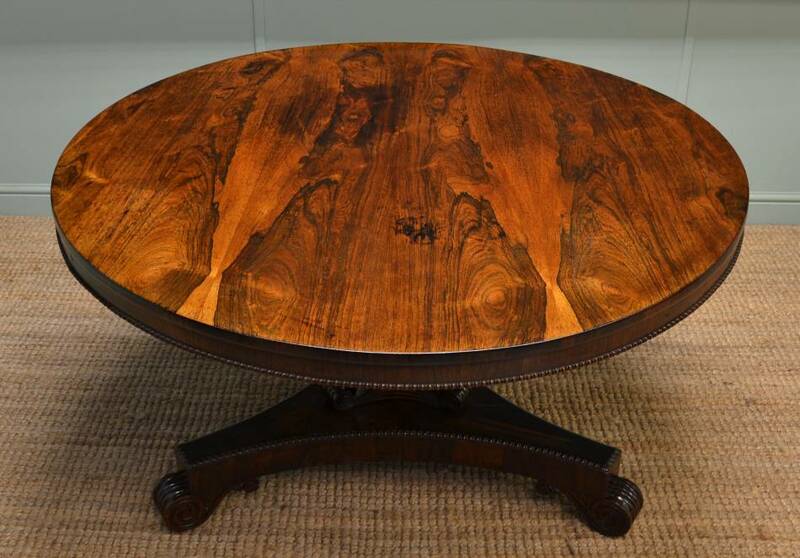 This impressive table has the charm and character from age and has benefitted from some restoration work. 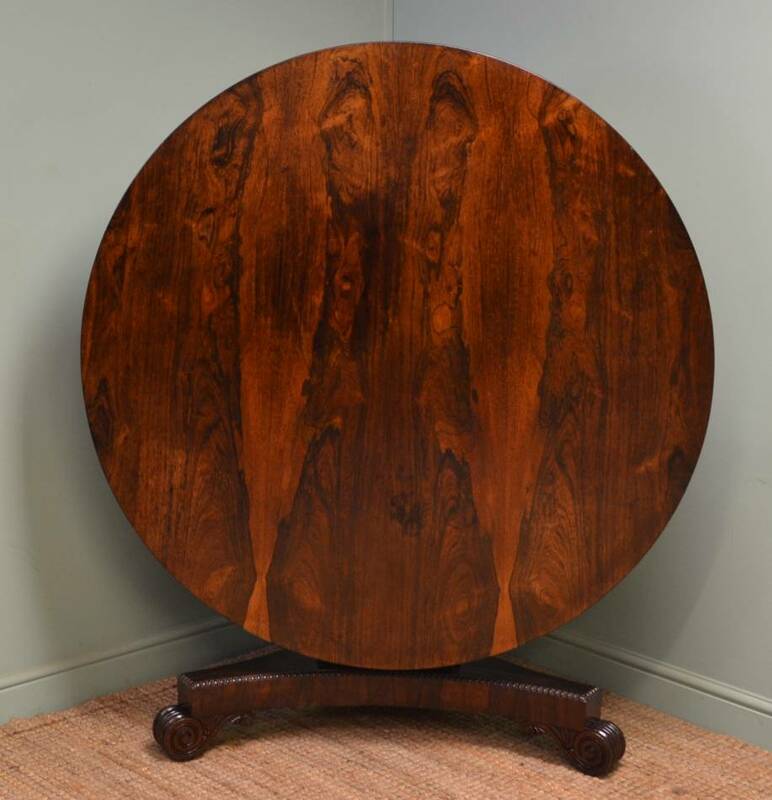 Overall it is in very good condition and would be a beautiful addition to any home. 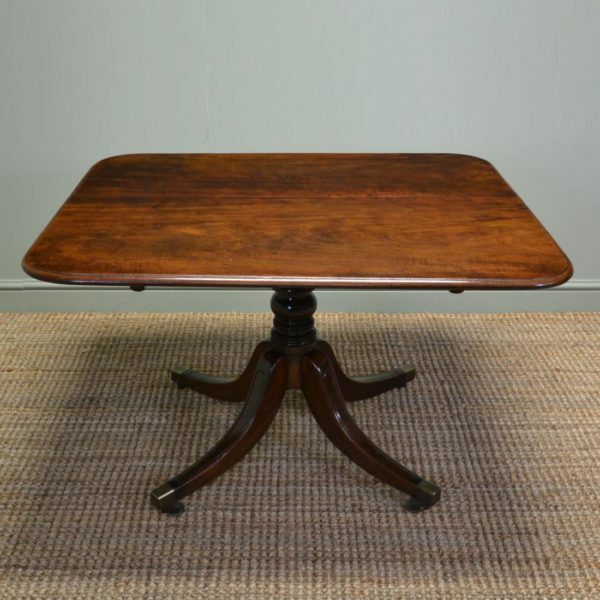 Dating from around 1840 in the Victorian period this delightful antique dining table has a circular top and is made from rosewood. 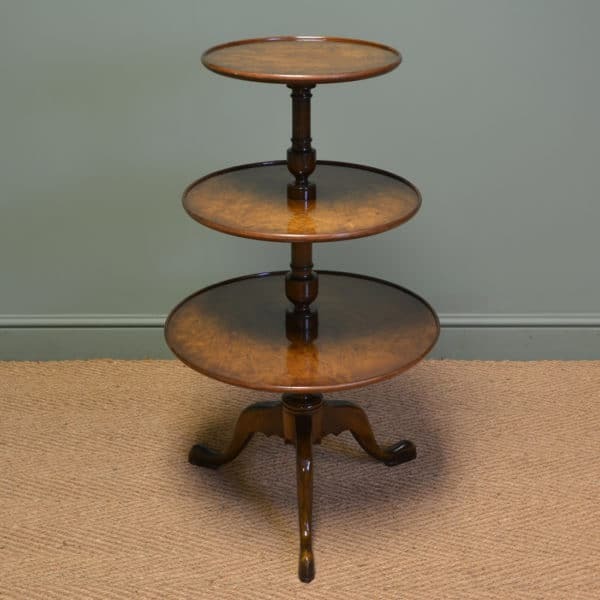 It stands on a beautifully turned pedestal with tripod splayed legs finished with scrolled feet and brass castors. The top is strikingly figured having a mirrored top with a moulded edge. It also tilts and has the original brass ‘Banjo’ catch. 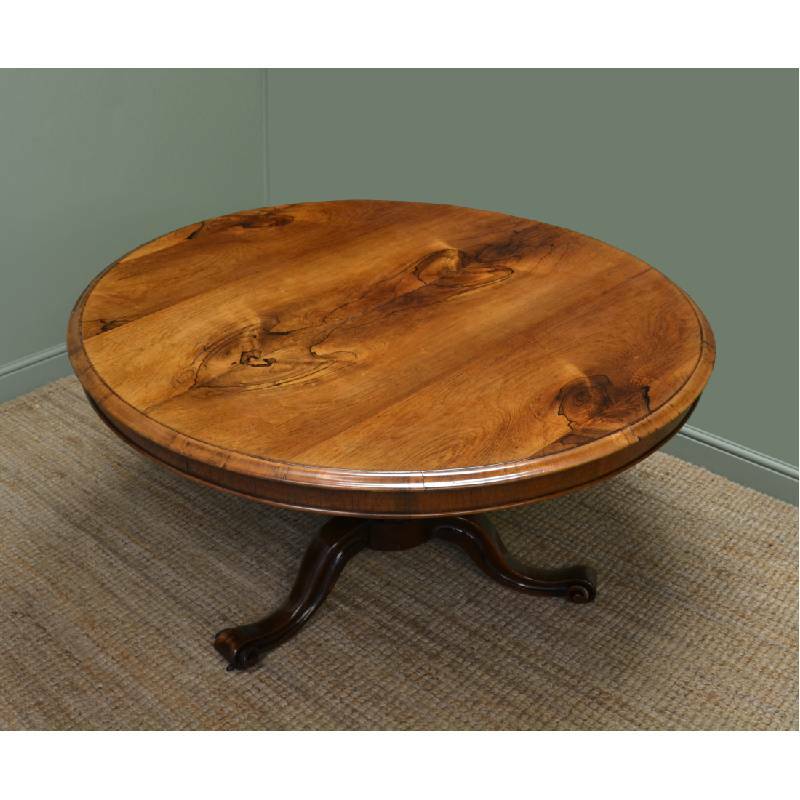 This is a wonderful table suitable for dining or as a centre table in a grand hallway.